Goodness gracious! Is it scorching hot here in the South! Everything is either wilting or dripping. The garden has been wind-whipped by hot dry dust storms almost everyday, and that is after we went through an almost tornado storm on Sunday with 60 mph wind gusts, thunder and lightening. The garden is starting to show some wear and tear. Pictures will come later this week. 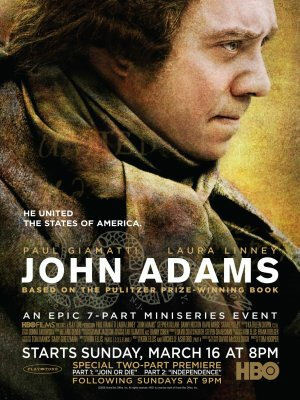 So it is with that in mind, if you are experiencing a horrendous heat wave in your neck of the woods as well, that Ms. Jeannie recommends a most patriotic mini-seies for this holiday week… the HBO mini-series John Adams. 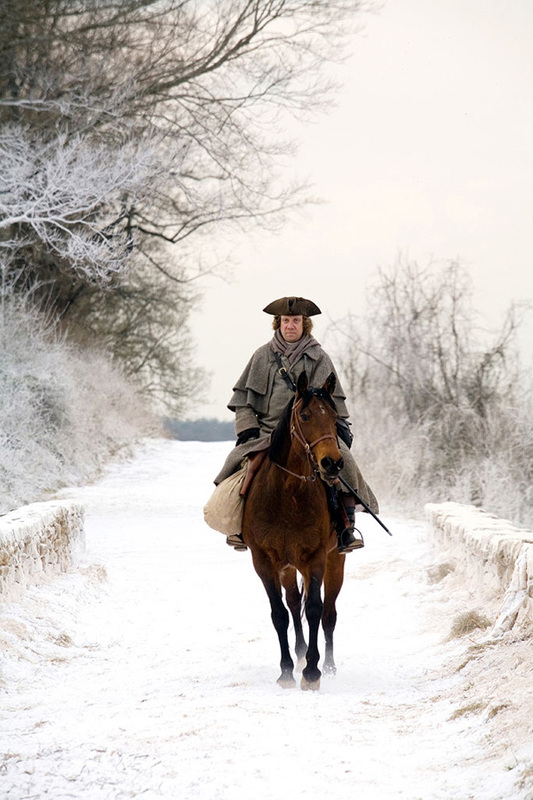 Delightfully, it starts out in the winter with John Adams (played fantastically by Paul Giamatti) riding his horse through a blizzard in 1770 Boston. Just watching that scene alone instantly cools you off and makes you forget about the temperature outside. 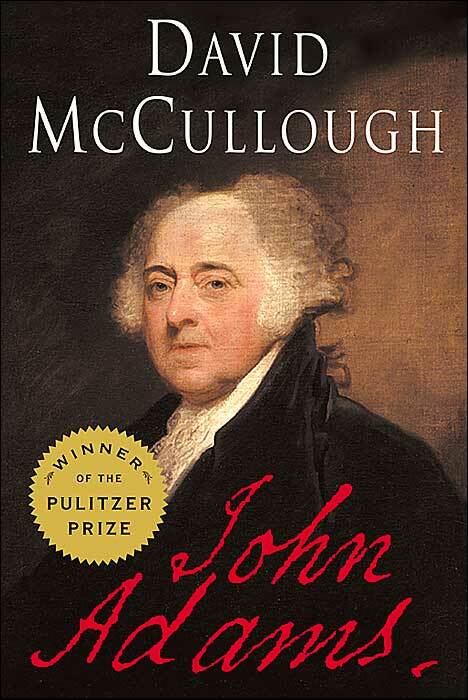 The mini-series is based on the thoroughly researched book John Adams by David McCullough. Like the book, the mini-series painstakingly brought every single detail of colonial life alive in the production. Tom Hanks, a huge history buff, was one of the executive producers. It stars in addition to Paul Giamatti, Laura Linney (Abigail Adams), Tom Wilkinson (Ben Franklin) and David Morse (George Washington). The production team was dedicated to making the film look and feel exactly like life would have been in 1770’s America. Official Poster. Such a smart tagline…He united the states of America. They even aged the teeth of John and Abigail so by the end, they were pretty decayed. Exactly what people’s teeth would have looked like at the time! The whole production is a visual feast for not only the eyes but the imagination as well. The opening theme delighted Ms. Jeannie. Simple yet so dramatic and full of emotion. You can’t help but feel inspired by just watching that! Since Ms. Jeannie used to live in Philadelphia it was equally fascinating to look at the sets and then remember the city as she knew it. Of course she has the done the history tour of Philadelphia many times, but now after watching the movie and reading the book she feels like she understands that time period, the city and our early government so much better now. So if you want to fall in love with America all over again, Ms. Jeannie highly recommends losing yourself in this eight hour marathon. She guarentees you will walk away with a different perspective on our forefathers struggle to create our nation of independence. Have 4th of July dear blog readers!